Nickerson v. Stonebridge Life Ins. Co. – Punitive Damages Excessive? Punitive damages in a personal injury lawsuit in Boston are those that exceed merely simply compensation and are awarded with the intent to punish the defendant. Such damages often far exceed one’s actual losses and are intended to punish egregious or malicious action and to encourage reform or prevent the defendant – or others – from repeating their actions. 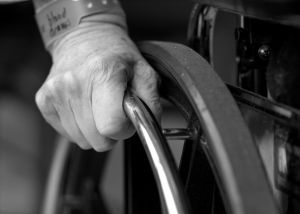 There have been cases in which courts have handed down eye-popping punitive damage awards, but that is usually only with the most serious of cases that involve catastrophic injury and death. The Massachusetts Legislature understands that there is unequal bargaining power between an individual claimant and, say, an international insurance company or a huge corporation. That’s why they have found that in some cases, monetary sanctions are the only to way to sway unlawful and unethical behavior. Most of the time, these verdicts are affirmed. However in some cases, punitive damages may be deemed constitutionally excessive because they violate due process. Since 1989, the U.S. Supreme Court has decided at least nine cases that involve the question of constitutional punitive damages limitations, with seven of those using the theory of due process violations. Fails to provide defendant with a reasonable procedure to protect form grossly excessive awards. Whether the punitive damages bear a reasonable relationship to the harm suffered. In the recent California Supreme Court case of Nickerson v. Stonebridge Life Insurance, the issue of excessive punitive damages was raised. According to court records, plaintiff is a man who is paralyzed from the chest down. He reportedly broke his leg when he fell from the wheelchair lift of his van. He was transported to the Department of Veteran’s Affairs. As a veteran, he was entitled to free medical care. He was treated in the emergency room and then was admitted to a special unit for those with quadriplegia. His complications due to the injury were numerous. He was confined to a bed for weeks and could only sit in his wheelchair for short stints. Following his discharge 109 days later, he sought benefits form his life insurance policy for $350 a day for each day he was in the hospital. The insurer, without consulting plaintiff’s doctors, determined his hospitalization was only truly medically necessary fort three weeks. It sent him a check for $6,450. Plaintiff filed the lawsuit alleging the insurer did not act in good faith and had been unreasonable in denying him full policy benefits. At trial. the court granted plaintiff’s motion for directed verdict and awarded him $31,500 in unpaid policy benefits, $35,000 for emotional distress damages and $19 million for punitive damages. Plaintiff rejected the reduction and appealed the order granting a new trial. A divided appellate court affirmed, rejecting plaintiff’s argument that the court had failed to take into account the $12,500 in attorney fees. So the issue before the state supreme court was not whether the award was excessive. That issue was not in dispute. It was whether the attorney fees awarded should be factored into the total calculation of damages for the 10-to-1 calculation. The state supreme court ruled that they should be, and therefore reversed the trial court and remanded back to the lower court to issue a finding consistent with that opinion, meaning plaintiff’s punitive damages will instead be $470,000.